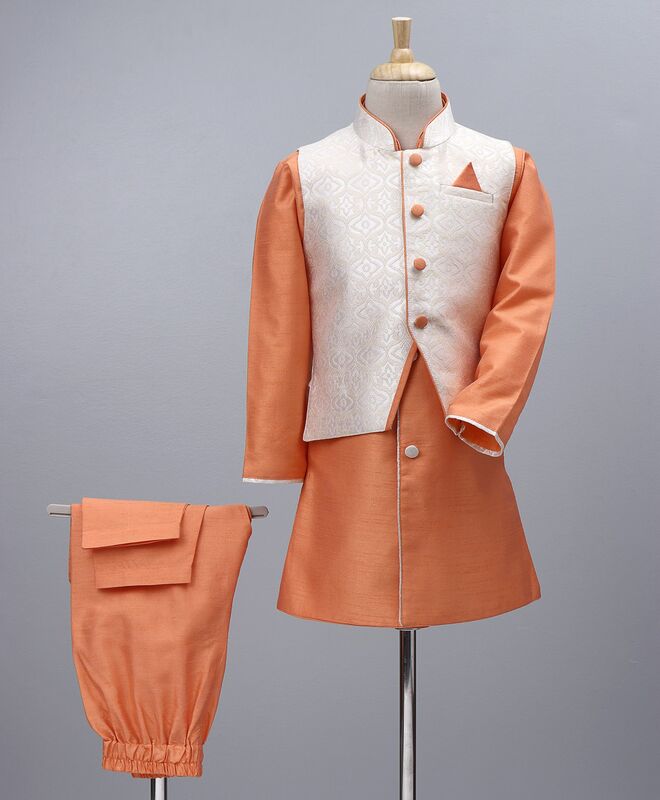 A full sleeves kurta and pyjama with Jacket set for your little master from the house of Babyoye. Beautiful allover self designed jacket, solid colour kurta & pyjama makes an elegant and traditional set. This set ensures maximum comfort all day long. Styling Tip: Pair this ethnic set with mojaris to get that perfect ethnic look.